Looking for the 2014 Summer Sessions Bulletin? Need to view a different Bulletin? drop-down menu on the top right. Follow the Hofstra Bulletins on Twitter! 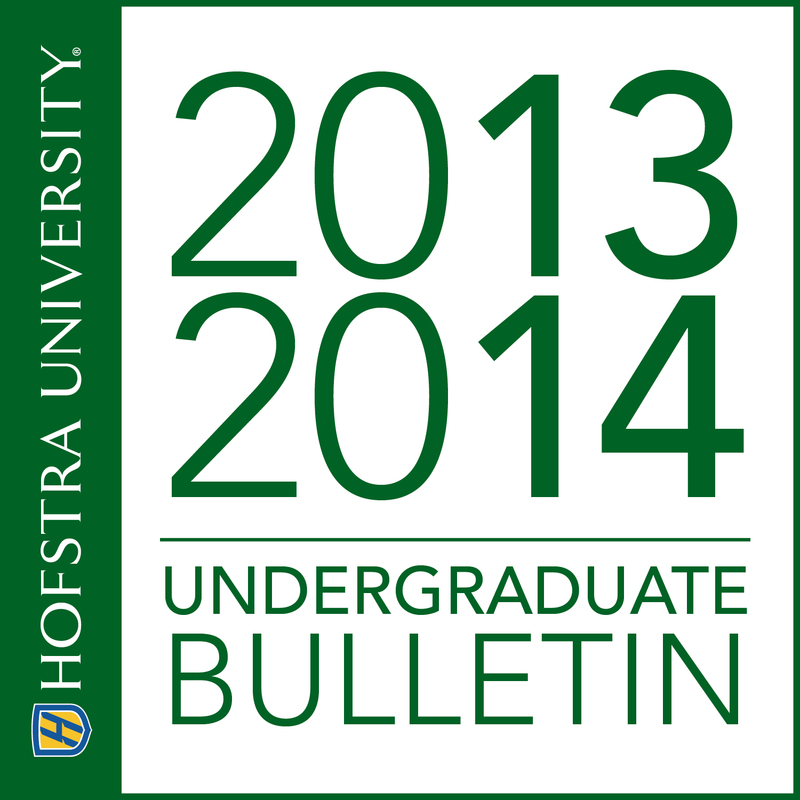 To learn how to use the Hofstra Bulletins, visit our Bulletin help page . Still have questions? Email Bulletin@hofstra.edu. This online Bulletin is maintained by the Hofstra University Bulletin Office. The general Undergraduate and Graduate Studies Bulletins are available online only; January Session and Summer Sessions Bulletins are available online and in print format. The programs of instruction, the academic calendar and personnel announced in this Bulletin are subject to change at the discretion of the administration. Notice of such changes will be on record in the Office of Academic Records.